​PLANO – With the finishing touches being made to the addition to its latest Plano campus expansion, financial giant Capital One is upgrading the​​ tech-savvy campus. The newly opened four-story, 205,000-sf building, referred to as Building 7, will increase the collaboration space at Capital One's regional hub, with a market-style cafeteria, gaming room and alternative meeting spaces. 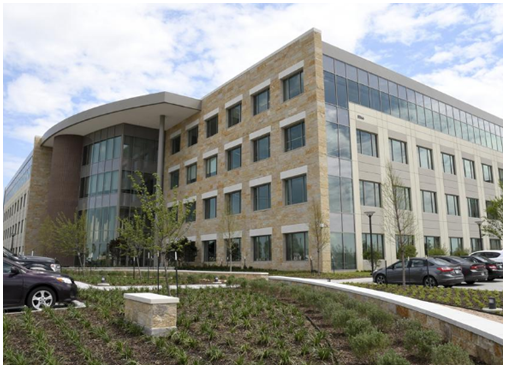 In North Texas, Capital One has about 5,000 employees that work in the 1.5 million-sf regional campus in Plano, with the addition of Building 7. The new building, which has a three-story slide and a game room for its workers, is about 55 percent occupied. ​Want more d​ata? See DFW Office Market Research.